Bob Marley was a hero figure, in the classic mythological sense. His departure from this planet came at a point when his vision of One World, One Love — inspired by his belief in Rastafari — was beginning to be heard and felt. The last Bob Marley and the Wailers tour in 1980 attracted the largest audiences at that time for any musical act in Europe. Bob’s story is that of an archetype, which is why it continues to have such a powerful and ever-growing resonance: it embodies political repression, metaphysical and artistic insights, gangland warfare and various periods of mystical wilderness. And his audience continues to widen: to westerners Bob’s apocalyptic truths prove inspirational and life-changing; in the Third World his impact goes much further. Not just among Jamaicans, but also the Hopi Indians of New Mexico and the Maoris of New Zealand, in Indonesia and India, and especially in those parts of West Africa from wihch slaves were plucked and taken to the New World, Bob is seen as a redeemer figure returning to lead this. The tiny Third World country of Jamaica has produced an artist who has transcended all categories, classes, and creeds through a combination of innate modesty and profound wisdom. 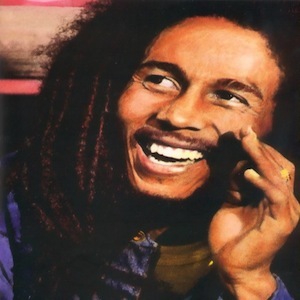 Bob, the Natural Mystic, may yet prove to be the most significant musical artist of the twentieth century. He gave the world brilliant and evocative music; his work stretched across nearly two decades and yet still remains timeless and universal. Bob Marley & the Wailers worked their way into the very fabric of our lives. It is important to consider the roots of this legend: the first superstar from the Third World, he was one of the most charismatic and challenging performers of our time and his music could have been created from only one source: the street culture of Jamaica.